What's the cheapest rental available in Philadelphia, right now? Finding a bargain can be a challenge if you're on the hunt for new digs on a budget. So what does the low-end rent on a rental in Philadelphia look like these days--and what might you get for your money? Here's a studio apartment at 3527 North 16th St. in Tioga, which, with 700-square-feet, is going for $690 / month. In the unit, the listing promises high ceilings, hardwood floors, in-unit laundry, ceiling fans, built-in storage features and ample natural light. Luckily for pet owners, both dogs and cats are allowed. According to Walk Score's assessment, the area around this address has excellent walkability, is bikeable and boasts excellent transit options. Over at 5358 Woodland Ave. in Southwest Schuylkill, there's this one-bedroom, one-bathroom townhouse, going for $700 / month. In the unit, expect to find carpeted floors, a stove, tons of cabinet space and granite countertops. Pets are not allowed. According to Walk Score's assessment, the area around this address is very walkable, is quite bikeable and has excellent transit. 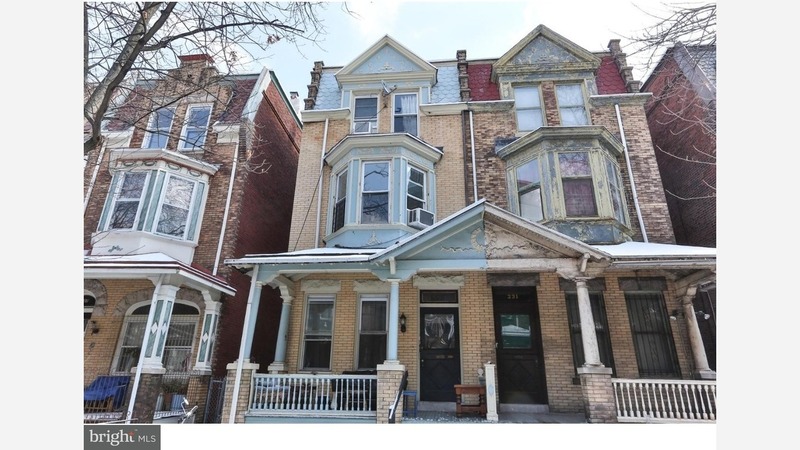 Also listed at $700 / month, this 1,036-square-foot one-bedroom, one-bathroom apartment is located at 2955 N Reese St. in Fairhill. Apartment amenities include a stove, hardwood floors and plenty of windows. Cats and dogs are not welcome in this unit. According to Walk Score, the area around this address is a "walker's paradise," is bikeable and has good transit options. To round things out, there's this 450-square-foot residence at 229 Buckingham Place in Spruce Hill. It's being listed for $700 / month. In the unit, anticipate air conditioning, wooden cabinetry, granite countertops and a stove. Hairball alert: cats are welcome. Walk Score indicates that the surrounding area has excellent walkability, is a "biker's paradise" and has excellent transit.